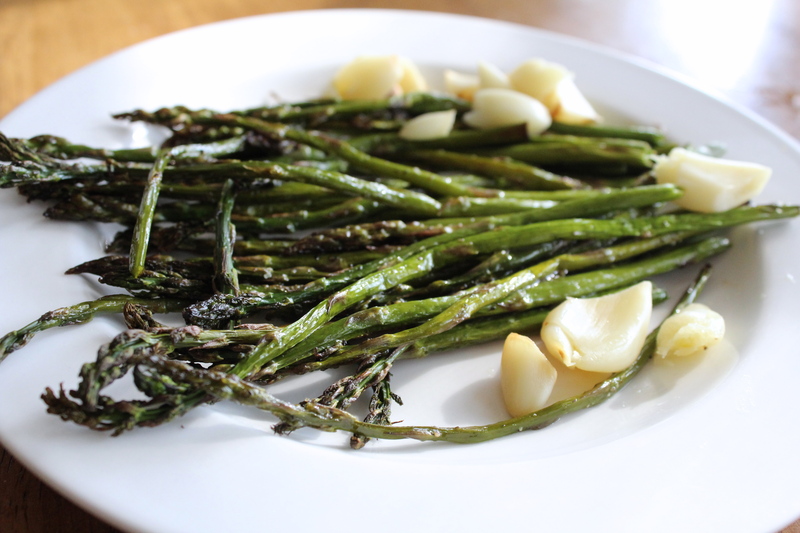 Yes, yes, spring is on it’s way and it’s supposed to be time to put away the heady soups and stews, but when you have a healthy bunch of asparagus you don’t have the confidence to finish alone this is what happens. 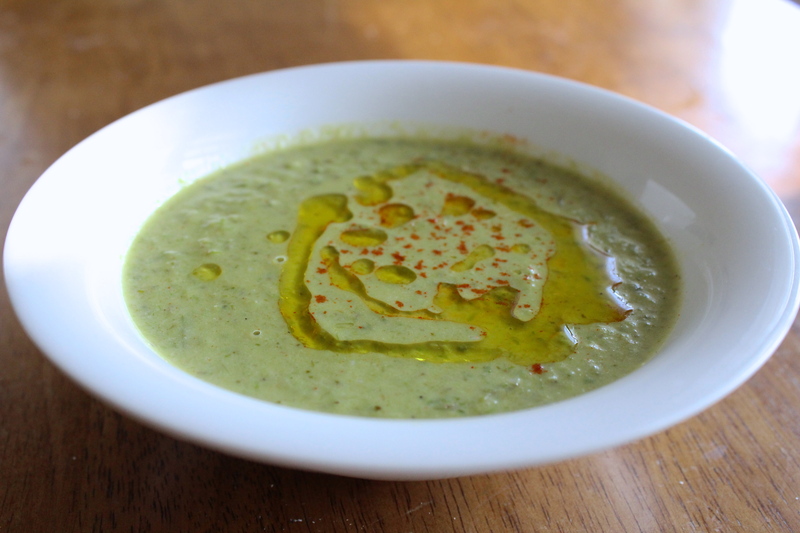 Besides, what could be wrong about a cozy bowl of soup on a late Sunday afternoon? I found that there is nothing, nothing at all. 1. 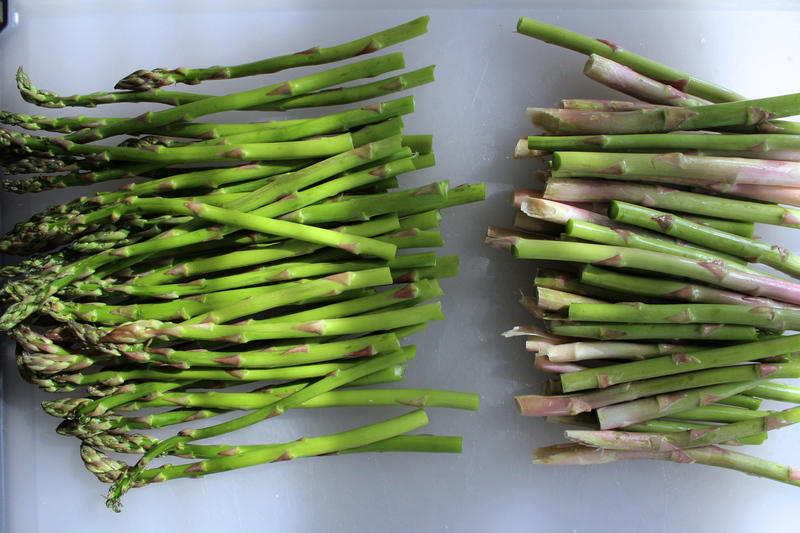 Remove woody ends from asparagus: take each end of asparagus and bend until the asparagus snaps. 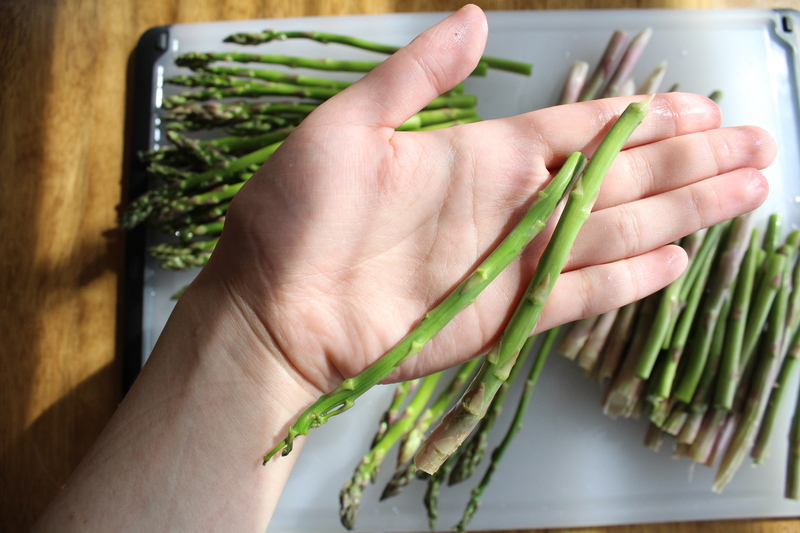 The stem will break right where the woody part ends and the fresh asparagus begins. If it seems like you’re wasting a lot of asparagus, just try the ends – even if they look green and healthy they will taste distinctively bitter. 2. Slice the head of garlic in half crosswise (horizontally), keeping the peel on. 3. Rinse trimmed asparagus in water. 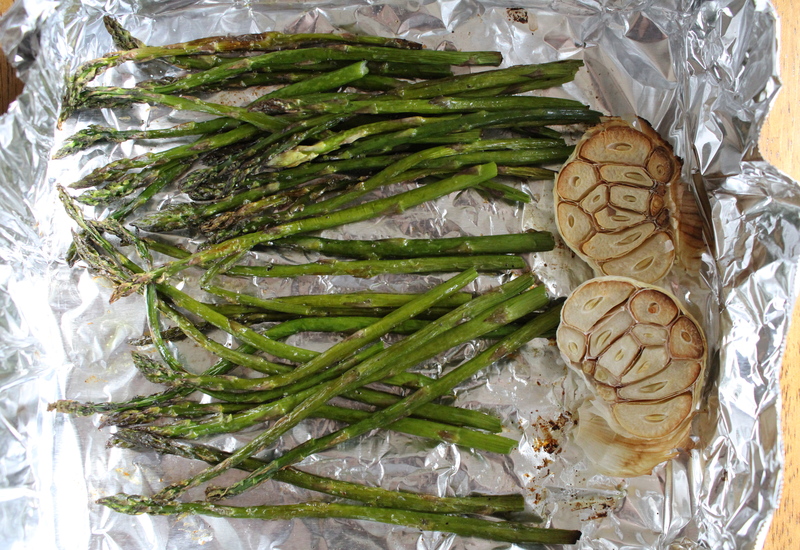 Then make a little tin foil box (see photos below) for the asparagus or place them on a sheet pan. Drizzle on a little olive oil, salt and pepper and toss to coat. Add the two halves of garlic, cut side up, into the tin foil box or onto the sheet pan. 4. Roast for 20 minutes at 500˚F. Your oven may take less time, mine is pretty shabby. Toss the asparagus around half way through. 5. 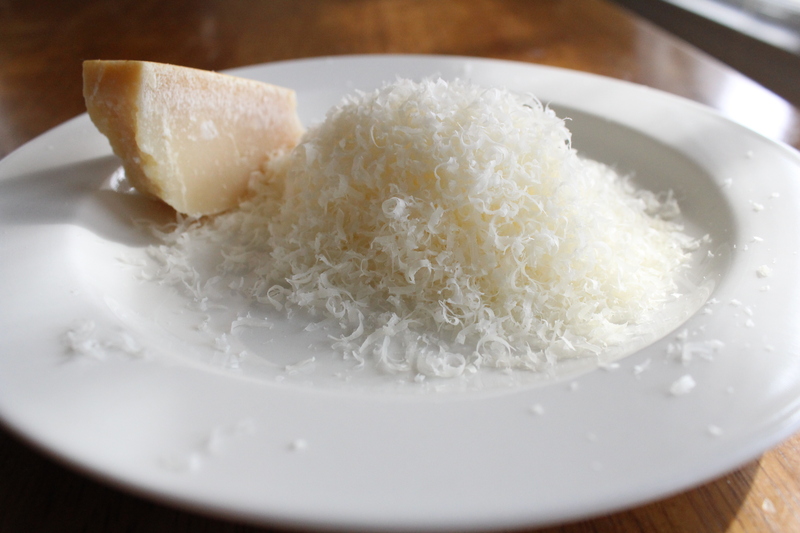 While vegetables are roasting, grate 1/2 cup parmigiano-reggiano. 6. Blend together roasted vegetables and 1/2 cup vegetable stock for about a minute (I used my Magic Bullet). There shouldn’t be any chunks or pieces but it’s okay to have little, teeny bits in the soup. 7. Heat up blended vegetables in a pot. Pour in 3 tablespoons of heavy cream and parmigiano-reggiano. Mix together until cheese is melted and everything is incorporated. 8. Taste for seasoning and add salt and pepper accordingly. 9. 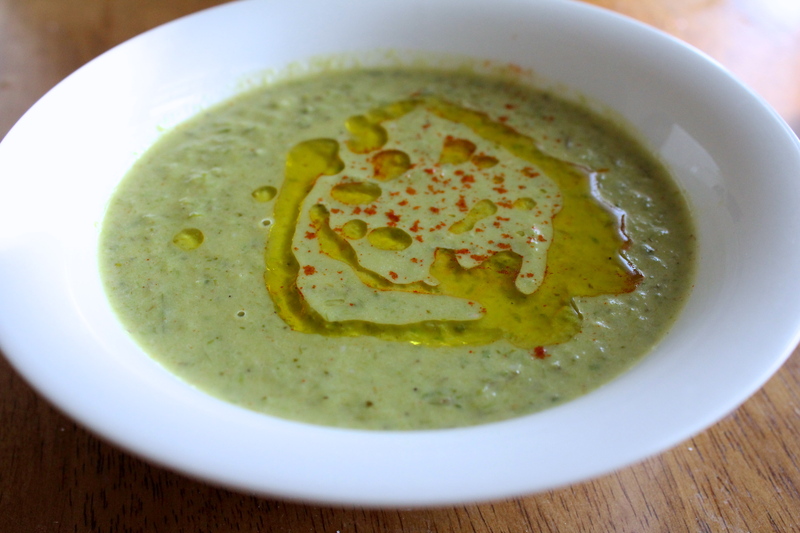 Serve hot with a drizzle of olive oil (about a teaspoon).